Improperly positioned downspouts are the enemy of your home’s structural integrity. Naperville Gutter Pros conducts gutter downspout repair and replacement to protect your home from the heavy toll of rainfall and melting snow that over time can cause severe damage. Rainwater was intended to run from your gutters to your downspout extension to lead water away from the sides of your home. This push away from your siding and windows prevents moisture seeping and eventually causing mold and mildew. Not only are these issues detrimental to your home but also to your health, causing issues like respiratory ailments. We provide exceptional gutter downspout repair as well as replacement to ensure the long life of your home. As a leading gutter installation and repair service in the region we also provide homeowners with professional inspection. This is a good strategy to ensure that the downspouts are attached and properly functioning so that you are not faced with expensive structural repairs from long term water damages. We are highly trained and we have years of experience to provide you with the professional feedback and advice you need to make necessary gutter downspout repairs and replacements. Over time, issues like dirt, nests built from pest infestations and other materials can clogged your gutter downspouts and the weight will prevent the natural downward flow of water. Our professional inspections provide you with repair information you need to protect your home. Water is meant to travel from your gutters downward to your downspouts an into your gutter drains, but if they are cracked and broken, water doesn’t follow the intended route and could likely end up pooling around your foundation and in places like your basement. Water travels to weak areas and typically your foundation and basement can be vulnerable areas that were will penetrate and cause expensive structural damage that can cost thousands of dollars if not immediately repaired. Your gutter downspout repair is a vital part of this process. You have a great landscape that you have spent a lot of time and money ensuring that it looks beautiful but your gutter downspout repair and replacement needs can jeopardize the fertility of your soil and create severe soil erosion. Your flowers and plants will suffer particularly if they are planted near the foundation of your home where water overflows from cracked gutter downspouts. Correcting downspout problems and downspout replacement is critical if you wish to prevent soil erosion and water runoff problems. Areas around your home that are flat with no hills are particularly vulnerable to soil erosion. 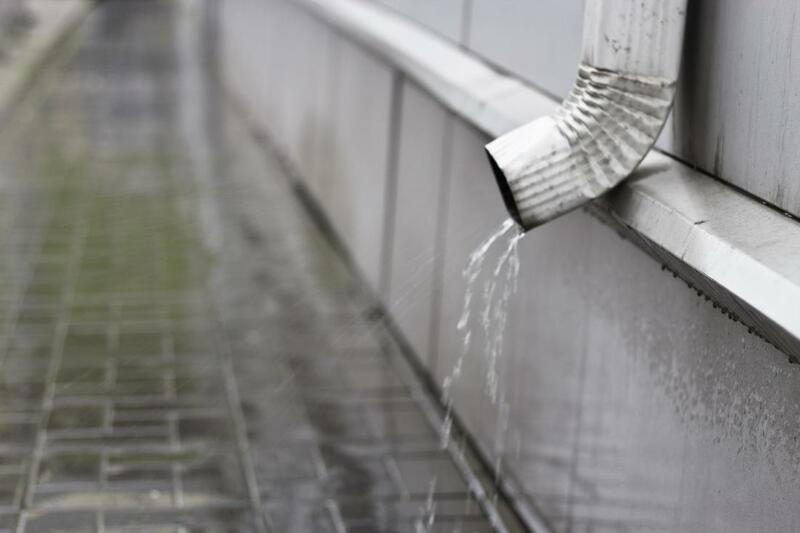 Naperville Gutter Pros have decades of experience to ensure that your property is safe from flooding due to improperly functioning gutter downspouts. Our replacement work is of the highest quality and sure to relieve any drainage issues that cause issues like soil erosion, basement flooding and foundation deterioration. We are a trusts gutter repair service provider in the region that understands your home is an investment that needs to be protected.